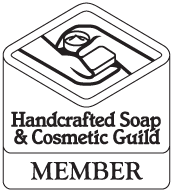 In order to make soap, you need three ingredients: oil, sodium hydroxide (lye), and a liquid (water, milk, etc). A lot of soap makers use milk, beer, coffee, and teas instead of just plain water. Each of these various liquids can lend different properties to soap, like a boost in lather or actual skin care benefits. The soap challenge this month focused on the liquid we use. The challenge was to use an alternative to water and discuss the benefits, if any, to the skin. We had to use all natural colorants and only essential oils for fragrance, too. This was a very interesting challenge and a lot of fun to research. Every fencerow on our farm is just solid with Elderberry bushes. In the past, I’ve read a lot about how to make use of this plant. Everything I read centered mainly on taking Elderberry internally for everything from reducing the duration of the Flu to helping arthritis pain. But in researching for this challenge, I wanted to know if or how it helped the skin. I discovered that Elderberry is thought to be a powerful antioxidant and has been used to treat skin conditions going back thousands of years. I have no idea if Elderberry can really do all these great things. It sure sounds good though, and I’m a big believer in natural remedies. But I’m really not sure what, if any, of those properties actually remain in a finished soap after going through the process of saponification. But, either way, I decided to try Elderberry Tea as my alternative liquid for the soap challenge this month. If you’re interested, I used the same slow moving recipe from my Embracing Opposites soap challenge post. Since I wanted to try out a spicy essential oil blend with this soap, I decided to go with a recipe that is really slow to trace. I also wanted to do a hanger swirl with my natural colorants, and this recipe has always been good for that, as well. Because we’re heading into October, I really wanted to use an essential oil blend that smelled like Fall. And because I was using Elderberry tea for my liquid (which is rumored to be sort of a natural cold remedy), I decided to go with an EO blend that I put in my diffuser when I’m sick. I really love the final scent in the soap, too. I added Kaolin Clay to the EO blend at 2 tsp per pound of oil in the recipe. 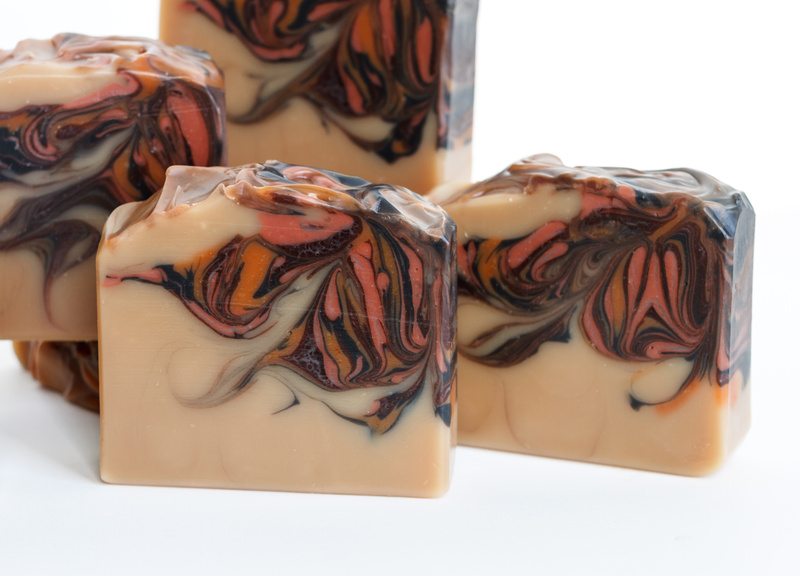 In keeping with the Fall theme, I used warm earthy colors to make a swirl in the soap. The Elderberry tea turned the soap a nice tan color, which worked well with my colorant choices. First, I made Elderberry Tea using organic dried Elderberries and distilled water. I added about 1 tablespoon of Elderberries for every 500 grams of distilled water needed for my recipe. I brought the water and berries to a boil, then I let it simmer for about 10 minutes. I let the tea sit until it was cool, then strained it into a container and placed it in the refrigerator. As you can see, the cold Elderberry tea was very dark reddish-purple in color. It smelled really good. Well, until I added the lye, that is. I made a video of the rest of my soap making process. In the video, you’ll notice that the Elderberry tea went through a very fast color change when I added the lye – from reddish purple immediately to greenish-black, then to brown, and finally a brownish purple color that wasn’t so different from the original tea. I really like how you handle natural colors. Great idea for Elderberry tea. Well done . Wow, stunning! I love the natural colors. I can also appreciate your clean work space and the paper towel to cover the container openings – brilliant! Such a gorgeous soap! Love it so much! I used elderberry juice in soap, it was a nice experiment, but woud like to try the tea once too! Your soap is beautiful, Holly! I’d never thought of using elderberries in soap and have a huge tree right outside my kitchen window – but missed the berries this year ( greedy birds!). Definitely an idea for next year though! Thank you, Debbie! The Elderberry tea smelled so good when it was simmering, too. Love what you have done…very different. Great job! Gorgeous! Love the unique liquid you used! I’ve heard great things about elderberries for the flu and such – good to know it has skin benefits also! Your colors are so crisp and beautiful! I have made cough syrup with elder berries, but haven’t tried soaping with it. What a great idea. Thanks! Oh you’re so sweet. Thank you so much! Your soap is beautiful and I love that you used native elderberries. Great job. Your are so creative! My very 1st idea for this challenge was to use Pokeberry fruits (if seeds and skins are removed from the product it is safe to use once cooked) However, even tho they seemed to produce a fantasticly vivid pink/purple – the color absolutely disappeared in the soap batter. So sad. I’m happy for your beautiful designs – really pretty! You created a beautiful soap, now we are inspired to use the colorants you used, they turned out perfectly! great job. Thank you so much! Both of your soaps turned out beautiful. The OJ, carrot, and ginger juices were such a great choice. I love the videos you two make, by the way.